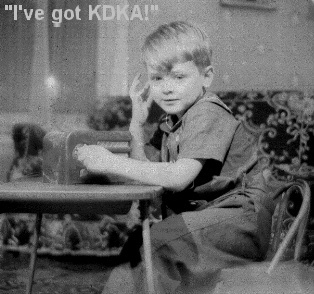 I got interested in electronics at an early age. This was at age 4. But why then VW's, you ask? I had little interest in VW's at the time; only a handful had been imported to the US at this time. Detroit iron was still where it was at! The choice of a VW (for me) was not pure accident though. When I was 16, I had a summer job some distance from home. One of the supervisors gave me a ride to work every day...in his VW. Arnold was quite a character; he became my mentor during the long rides to work every day. He was also a fastidious mechanic and race driver. He taught me most of what I know about VW's and driving...and a bit about life. The car I eventually wound up with was a '59. And the year was 1959 ! At that time, the waiting list was so long for VW's that it was virtually impossible to obtain one through a dealership. "Gray-market" dealers sprang up to fill the void. The buyer plunked his cash down and didn't ask too many questions. I got mine through such a dealer outside New York City. If I recall, it cost me $1500. Since that time I've owned numerous sedans, Ghias, even a THING, and several Buses. At last count, there have been over 40 VW's. 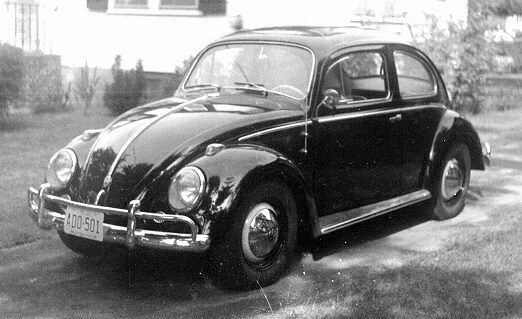 In fact, since that first car, I've never owned anything but air-cooled VW's (until very recently)! Backtracking a bit, after that summer job I went off to college in Hoboken, NJ and after a suitable delay got an engineering degree. Almost all of my engineering career was devoted to clunky controls for big machinery. At that time this meant lots and lots of those wonderful relays! I loved anything with relays and this looked like my niche forever. But, after 20 years or so, the novelty wore off and I opted to leave engineering for good. But, what to do?? I was supporting myself for several years like that. Then came a time when there weren't any Beetles to be seen on our roads (this is in the rust belt). What few had been left had all gone to the crusher and their owners now drove Toyotas! Well, the only other thing I had longed to do was plumbing work. I should have known way back in college; my spare moments were often occupied by following the campus plumber around on jobs! So, it was a natural decision to start a small plumbing repair business. But first I would need a truck. Hmmmmmm. Of course! A VW Bus. And that's how I got into Buses. 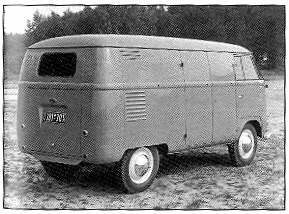 It was the perfect vehicle for such work, with the big open interior and side-opening door. I did that work for quite a few years and built up a rather large customer base. I fully expected to "go out with my boots on". Unfortunately, this career move was begun too late in life and the years of strenuous work began to take their toll on my now aging body. I was slowing down noticeably and by the year 2000 I had to call it quits, no longer able to lug tools and equipment up 3 flights of stairs. Recently, the doc told me that it is Parkinson's which is gnawing away at my abilities.